So you may have noticed I haven’t written as much in the last couple of weeks. I have not abandoned you but instead been hard at work. 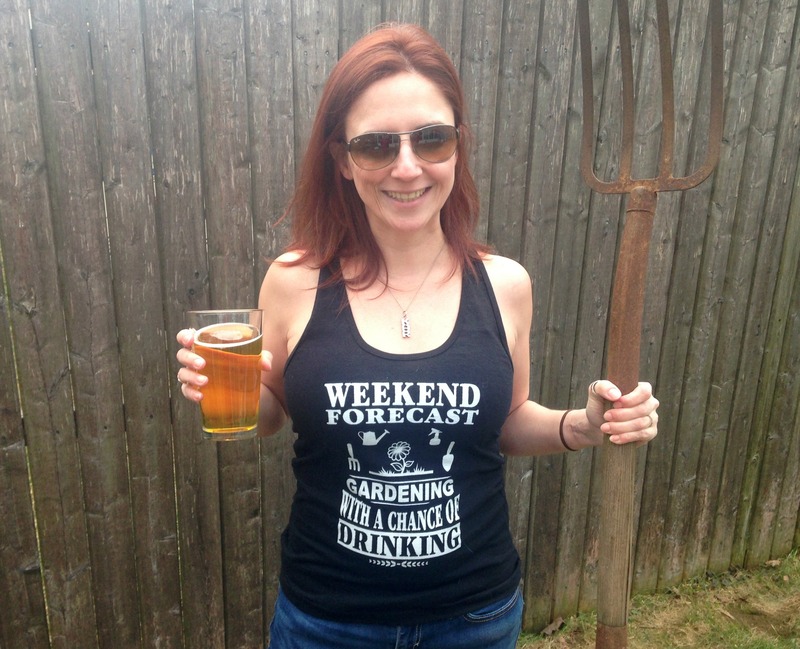 This Saturday (Oct 11) I will have a booth at the Ocean Grove Fall Festival! The event is from 10-4 and is free admission. There will be food, bands and tons of craft vendors. At this one you have to make what you sell so there won’t be those weird booths that are selling stuff “that fell off a truck” or trying to get you to buy new windows. This would be a great place to start your holiday shopping and get some cool things you can’t find at Target. As for my booth, I will have a ton of signs and reusable flour sack bags with me of course, but I will also have some new items that I have been hard at work on for the last few weeks. As you know I like to challenge myself to reuse or repurpose everything. I have come across some awesome fabrics that I thought should be put to use and I have built up quite a stash over time. 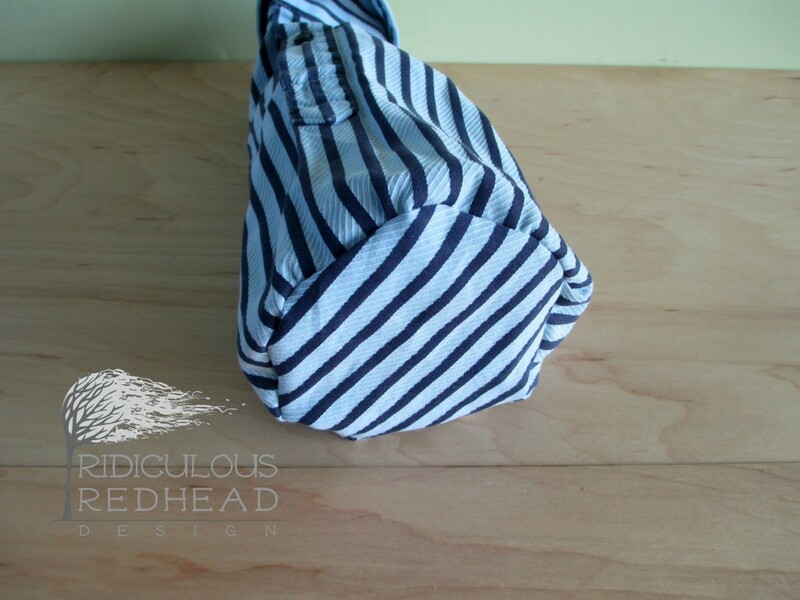 Sometimes it’s a beautiful button down shirt that has a tear in it. It doesn’t work for the office but it can become something else. 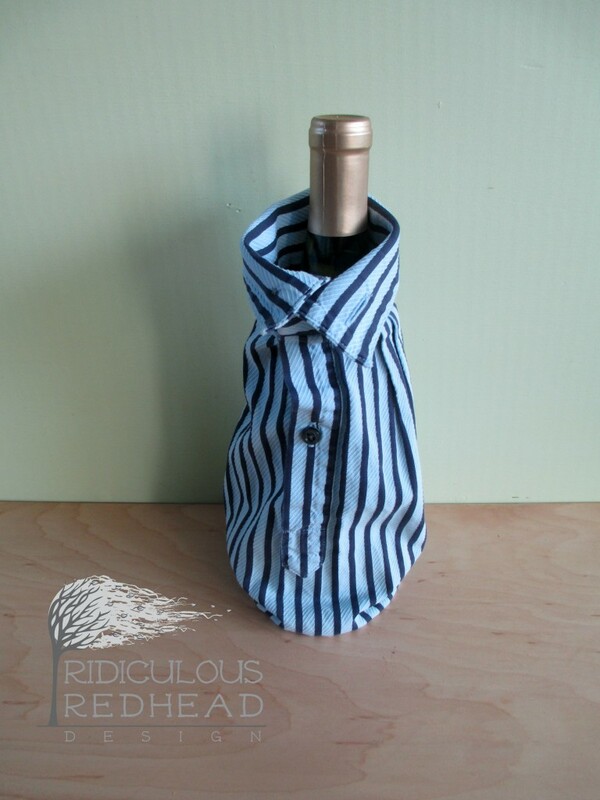 Like a reusable wine gift bag! Let me set the scene. You are going to a party and realize you didn’t get a gift to bring with you. 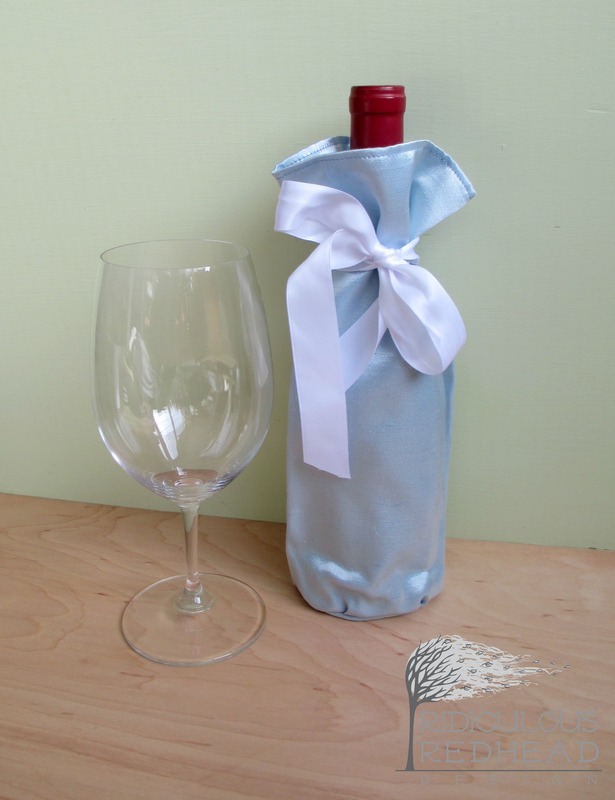 Instead of showing up empty handed you stop at the liquor store for a bottle of wine. Thinking you should dress it up a bit you ask for one of those shiny plastic bag things that screams “I forgot your present and grabbed this at the gas station.” Now don’t get me wrong, in this house liquor is always appreciated as a gift, but it might be nice if it didn’t look like such an after thought. I can help with that. 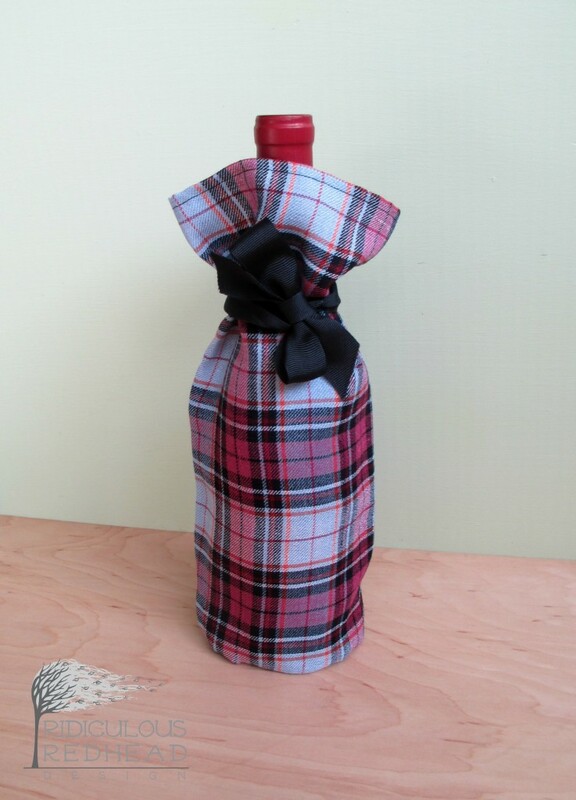 These wine gift bags are made from recycled/repurposed fabrics that look great and are totally reusable over and over. So not only are you a good gift giver but a good environmentalist! 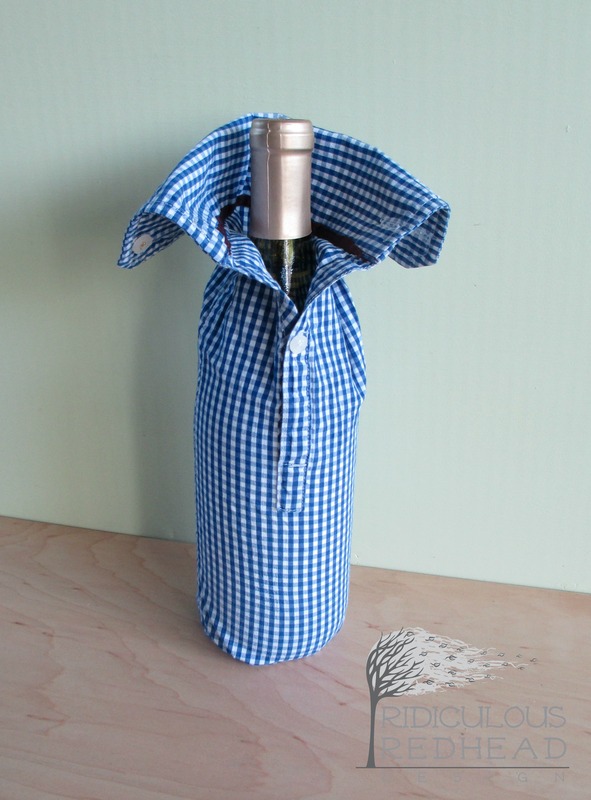 Unlike other fabric wine bags that tuck the fabric into a lump under the bottle, these have a bottom sewn on. 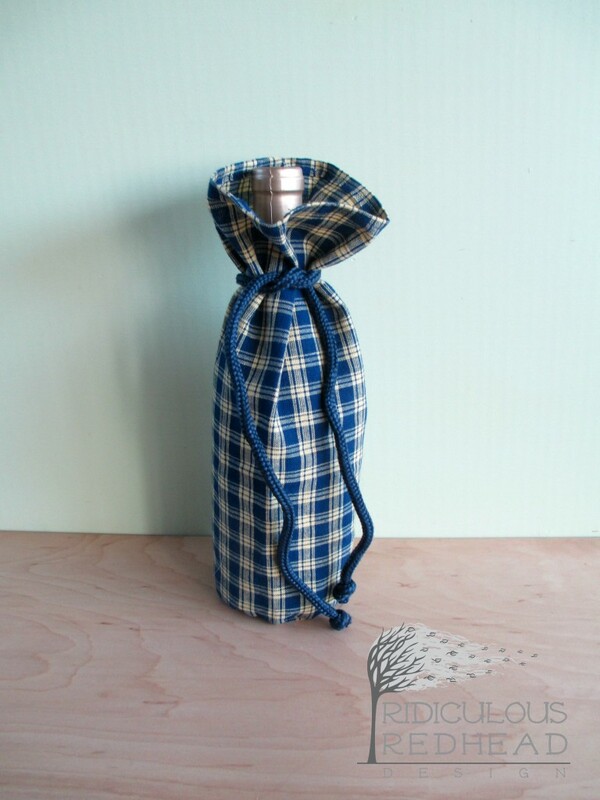 You don’t want lumps to make the bottle topple over. Making a mess at someone else’s house is never good form (trust me). And maybe you like a popped collar? 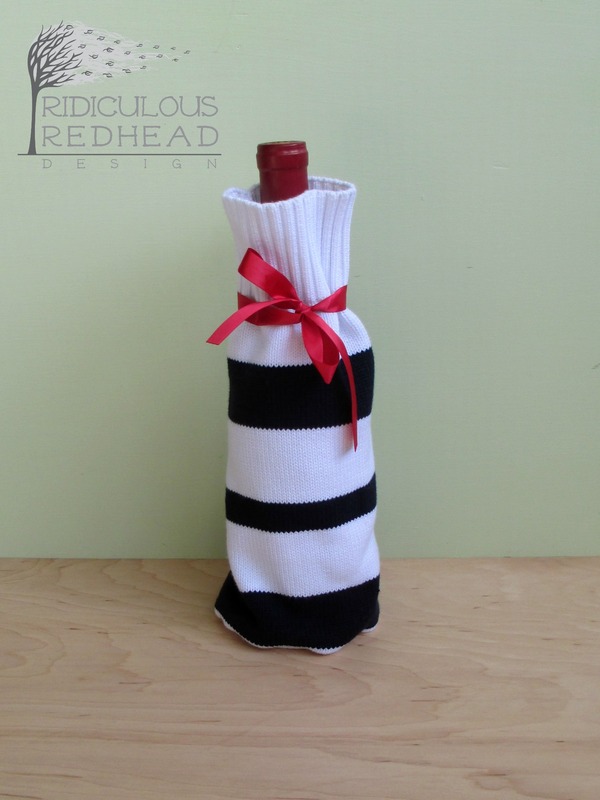 With the cold weather coming soon, you wouldn’t want your wine to get too chilly. In a nod to my Scottish roots we must have some plaid. Maybe something in ice blue? So don’t look like you don’t care about your friends with a crappy gift. I will have a bunch of these at the Ocean Grove Fall Festival this Saturday and they will be available in the shop starting next week. 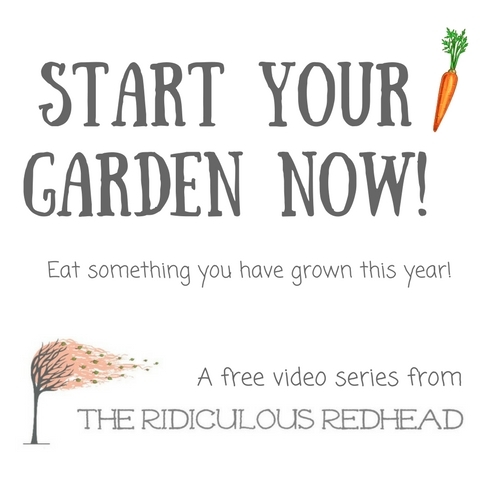 If you visit my booth and mention this post I will give you 20% off one item as a thank you for being a reader of this blog!